The thorny issue of third-party ownership of players - whereby private investors own part of a player's rights - is in the spotlight again, more than a year after the transfer of two Argentines to England brought the matter to UK attention. Then, the move by Carlos Tevez and Javier Mascherano from Brazil to West Ham United set in train issues that ended up being decided in front of courts and tribunals. Despite the furore, Kia Joorabchian - the man who brought the players to the UK - recently told the BBC he believed that the practice was still widespread. Indeed, it is not illegal, as long as the investor does not attempt to influence club playing or transfers, or indeed any other club policy. During their stab at English and European glory at the turn of the millennium, Leeds United were known to buy players with the aid of third-party investors. But this week, world governing body Fifa expressed serious concerns over third-party ownership of players. Its strategic committee said that a result of the Tevez case, action was now called for as regards third-party ownership of players. The committee said Fifa was working on a "simple and effective" solution as part of a general review of transfer regulations. However, at present, Fifa has no rule expressly prohibiting third-party ownership of players - and in Latin American countries, third-party ownership is common. In Argentina, Uruguay and Brazil, such deals are allowed and are widespread - in fact, they started in South America. 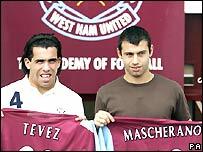 Tevez and Mascherano came to London from Brazilian club Corinthians. For clubs in Brazil, 50% of income comes from transfers, making players a valuable commodity for clubs, and 35% comes from TV money, with just 15% from ticketing. Lawyer Jose Carlos Meirelles of firm Pinheiro Neto Advogados in Brazil, which represents soccer investors, says: "Production of new players for transfer is the major source of income for clubs in South America. "The positive is that clubs are always searching for new talent and might need a third-party investor to help fund that player. 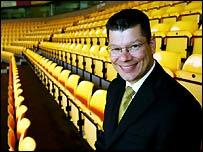 "The downside is that clubs are selling their rights in the player to investors an early stage. "In Brazil, the concept is that there should not be an influence in player sales. But there could be conditions of the transfer that could be agreed with the investor," he told delegates at a World Sports Law Report event in London. "For example, the investor can't put an onward transfer price in the contract, but they can stipulate things such as stating that the transfer should be to a club outside Brazil." 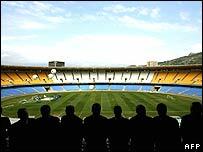 He adds: "In Brazil, we had some people [who] invested in football who really hurt the clubs. "There has to be some sort of global corporate governance." In Italy, as in Brazil and England, investors can make a return from funding a transfer to a club. The Italian FA also does not allow external interference in the club's market choice if it sells the player on. In England, the Premier League's recently-revamped rules, L4, V8 and V20, ban any club from entering contracts that allow third parties "to acquire the ability materially to influence its policies or the performance of its teams". In addition, all documents pertaining to third-party influence and ownership must be submitted to the Premier League. These are areas that created problems for West Ham United and its contract with Mr Joorabchian's firms, leading to calls for Fifa to clarify its rules on third-party ownership of players. Premier League chief executive Richard Scudamore was one of those who spoke on the matter recently to Fifa's strategic committee. The FA has also invested in its compliance unit, to provide it with "more forensic accountancy'', and wants Fifa to "get involved'' over third-party ownership. It has also introduced a blanket ban on agents owning a stake in the players they are responsible for advising. But Stephen Joelson, partner at Clintons Solicitors, says what is needed is not necessarily more new rules. "The issue of rights is the same as in all businesses. Breaches should be punished, not dealt with through other new rules," he says. "Football is becoming increasingly a business. As long as we have investment, appropriate levels of debt, and people in the sport for the right reasons, then that is fine. "But it is up to the regulatory bodies to make sure the right people are in control." Meanwhile, Mr Joorabchian, the agent who brought Carlos Tevez to West Ham says: 'I know a lot of players in the Premier League - and other leagues - which are here in the same format as we have done, but in a hidden scheme." One chief executive in the Football League Championship, Norwich City chairman Neil Doncaster, has no doubts that third-party investment is a modern fact. "The reality is that there are already 'third parties' who have interests in players in this country," says Mr Doncaster.